I’m finally caught up just enough that I can take a few moments to share my experience in visiting one of the newest – and hottest – low-residency MFA programs. When I met Danita Berg at the 2010 AWP Conference and Bookfair in Denver CO, it was evident how excited the then soon-to-be Director was about the launch of Oklahoma City University’s Red Earth MFA. We immediately clicked and kept in contact since that fateful meeting and I was ecstatic when Danita invited me as a guest speaker and workshop presenter for the inaugural residency. Let me tell you, visiting Oklahoma City in the middle of July is a hot, hot experience. Temperatures averaged in the 105-107 range and yet the environment couldn’t have been more inviting. 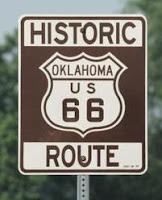 This was my first time visiting the city and I was sure to take advantage of all it has to offer—great food, significant landmarks, and a gorgeous scenic Route 66 drive were all a part of my trip. Of course, the purpose of my visit was centered on the campus and what a lovely campus it was. There is a beautiful juxtaposition of old meets new and I enjoyed having a tour of some of the more unique components of this campus. Let’s just say if you’re a writer interested in furthering your education and you just happen to also be a former beauty pageant winner, we need to talk. I think I may have found a financially beneficial program for you! Now, more about the residency…. This was the program’s first residency and I was truly impressed with the welcoming and energetic faculty. No one seemed anxious about getting things right; it already felt like each and every person had made themselves at home and that a community had been long ago established. Really, it was just a few days into the program when I arrived so it was quite the sight to see that students and faculty had already bonded so closely in so little a time. I had the pleasure of speaking throughout a day dedicated to visiting writers, including myself and novelist Matthew Quick. We had the run of the afternoon and evening and it was great to spend so much quality time with the students. Matthew read from The Silver Linings Playbook and then presented a workshop on using first person narration; then I took over to read poetry from stains and discuss the ins and outs of working within multiple genres, prior to presenting a workshop on social media and online networking for writers. We both spoke to how we came to the writing life, but the meat of that discussion was reserved for the public event in the evening, “Literary Living: Developing a Creative Career.” Matthew and I shared the stage of The Kerr McGhee Auditorium where not just students and faculty, but general members of the public – and a surprise visit from Telemundo! – filled the seats. We read; we gave a brief history of how we each became and continue to sustain ourselves as writers; then we opened up the floor to a wealth of inquisitive and insightful questions. All in all, the visit was a success. As authors, we were welcomed and treated as valued guests. As visitors to a new program, we saw a lovely community in the making. The students seemed to feel that they had made a strong choice for their writing paths and were receptive to the sessions presented to them. The faculty I had the pleasure of getting to know – like Kerry Cohen and Jeanetta Calhoun Mish – only cemented for me the idea that this program is one that will grow with its dedicated foundation team. It’s certainly a program to watch and Director Berg should be proud of this strong launch. The Red Earth MFA is a two-year program that includes five residencies. Students have the option of working within fiction, nonfiction, poetry, screenwriting, or any other sub or cross genre that speaks to them and, through the course of the program, students will complete a manuscript length project for which they will receive continual feedback and support. What’s more, The Red Earth MFA provides two optional concentration strands for students: pedagogy and professional writing. For those interested in the professional strand, students will work on developing their skills in communications and editing; for the pedagogy strand, students are guided in the skills of teaching writing. Each strand provides students with an opportunity for individual study as well, and for those who prefer to focus solely on their creative work this is also an option. So, it seems to me, The Red Earth MFA provides a number of customizable options, making this a truly personalized experience based on what the student’s needs and goals may be. For more info on the program, visit this link. All in all, I had a wonderful time visiting Oklahoma City University and feel honored to have been a part of this inaugural residency. 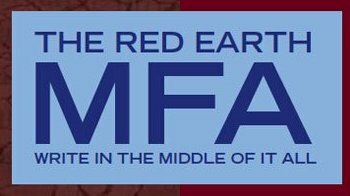 The Red Earth MFA is a newcomer to the scene of low-res programs and you can learn a bit about its development in The Low-Residency MFA Handbook, but keep an eye on it. I know you’ll continue to hear more as the months and years progress. I can already see how this program is going to flourish with its unique approach to providing real-world opportunities for students. I’m just so pleased and honored to have been witness to part of its successful kick-start. Is there such a thing as having too many degrees? What do you think about this -- Can you have more than one MFA? Why might you pursue a second masters in writing? Or is that just redundant? We're curious. Respond away. We'll be right here, moving around pics and stuff. This job posting comes from the AWP eLink job bank. Good luck! Spalding University’s brief-residency Master of Fine Arts in Writing Program is seeking qualified applicants for part-time adjunct teaching in all areas: poetry, creative nonfiction, writing for children & young adults, screenwriting, playwriting, & fiction. Applicants should hold an MFA or PhD in the area of concentration, have published at least one book in that area or have one fully produced play or screenplay, & have had teaching experience. Applicants of diverse backgrounds, particularly African American & Hispanic, are strongly encouraged to apply. An application should consist of a packet including (1) a cover letter, (2) professional vita, (3) a writing sample of at least twenty pages from a book, & (4) two letters of recommendation concerning suitability for teaching in a low-residency program. These materials will not be returned, but a stamped, self-addressed postcard if included in the packet will be returned to acknowledge receipt of the applications. Materials should be sent to: Sena Jeter Naslund, Program Director, MFA in Writing, Spalding University, 845 South Third Street, Louisville, KY 40203-2188, & marked "Faculty Application in (Area of Interest, poetry, etc.) Applications for the MFA adjunct positions will be received during the month of September 2011 only. For information on the program, see www.spalding.edu/mfa. Spalding provides transportation for faculty to & from the residency, as well as housing. All job offers are contingent upon successful completion of a criminal background check & pre-employment drug screen. For more academic job listings, visit the AWP eLink job bank. AWP has opened up a section of the Writers' Circle web forum to former and current creative writing students to discuss their experiences with prospective students. If you're a graduate who can share tips and advice for prospective students, you may want to stop by to share your experiences. If you're a prospective student, you'll find resourceful folks who can respond to your pressing questions. 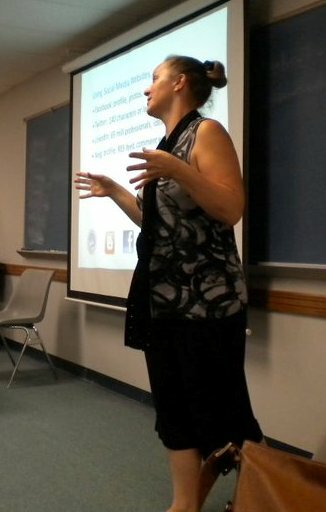 As promised to the students at OKCU's low-residency MFA creative writing program, I am sharing a few links related to social media and online networking. This post has been updated since the previous list with a few new updates--so, it's happily shared with any and all who might find these resources useful. There are so many more great resources for writers to take advantage of online, but hopefully this small sampling inspires you to research, network, and connect with others passionate about the pen! Feel free to comment and share some of your favorite online resources for connecting writers to the greater community. 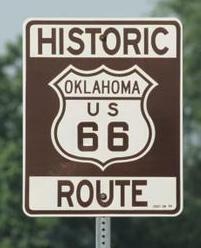 I’m very excited about a full day of upcoming events in Oklahoma City. 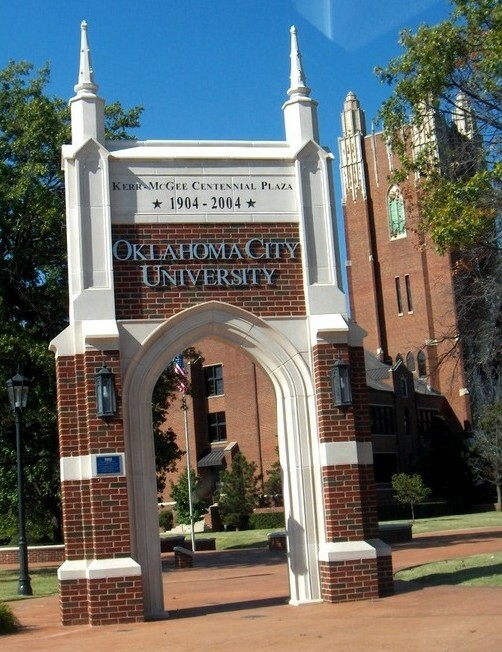 I’ve been invited to speak with the low-residency MFA students at Oklahoma City University and will be presenting on social media for writers, building a writing life, etc. While the daytime activities are especially for students, The Red Earth MFA in Creative Writing program at OKCU is offering a free public event on the evening of Tuesday, July 12 at 7pm. I’ll be sharing the stage with author Matthew Quick and I hope you’ll stop by if you’re in the area. OKLAHOMA CITY — The Red Earth MFA in Creative Writing program at Oklahoma City University will host authors Matthew Quick and Lori A. May for a free public lecture titled “Literary Living: Developing A Creative Career.” The event will take place in The Kerr McGee Auditorium in the Meinders School of Business at 7 p.m. July 12. A panel will focus on how the authors pursue professional and literary careers in writing. He found an agent, who sold the novel in several countries before selling the movie rights to the Weinstein Company. 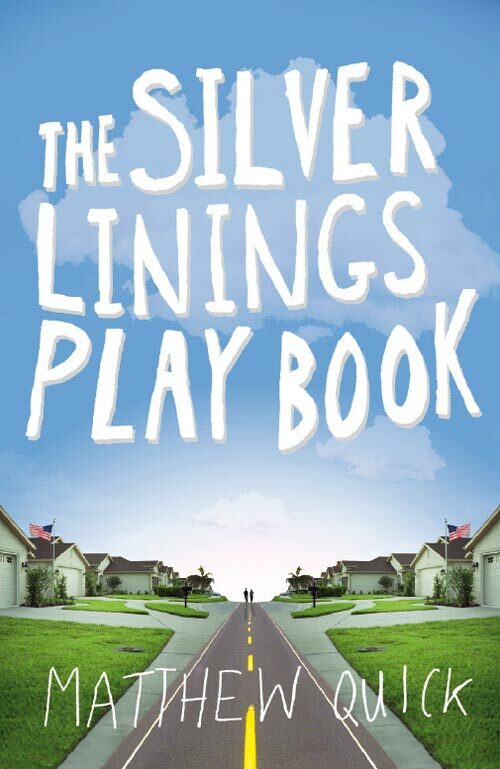 In 2010, Quick released his latest young adult novel, “Sorta Like a Rock Star.” He now lives in central Massachusetts with his wife, novelist Alicia Bessette. The Red Earth low-residency master of fine arts degree program at Oklahoma City University begins its first residency July 6. 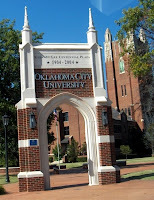 For more information, visit the website www.okcu.edu/english/redearthmfa/. Wow, I was just taking a look at the Kindle edition of The Low-Residency MFA Handbook and noticed amazon.com also has an incredible sale on the paperback version of my book! Right now, it’s selling for $9.73 and eligible for super saver shipping, so I simply had to share. I haven’t seen the book priced this low since… well, ever! If you’re looking for a great price, now’s the time to get over to amazon.com. A Master of Fine Arts degree is something quite prestigious to achieve, but it isn't always easy to cease your career to pursue it. The Low-Residency MFA Handbook: A Guide for Prospective Creative Writing Students is an advisory for those who are pursuing their MFA and want to use the low-residency route to this level of degree. Made up of several brief residencies throughout the pursuit, Lori A. May fully describes what is required for to make this work, drawing on those who have experienced this on their route to their MFA. 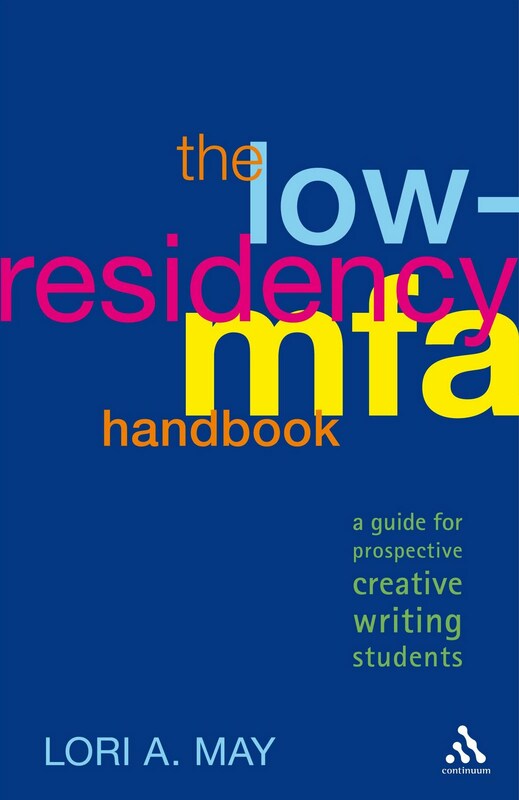 The Low-Residency MFA Handbook is a must for anyone trying to push their creative writing educational credentials to the next level. If you've been thinking about whether a low-res program might be for you -- or you know someone thinking about his/her own writing ambitions -- I hope you'll pick up The Low-Residency MFA Handbook to aid in your research and let me know what you think!